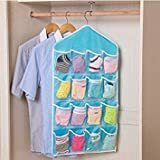 Gray : 16 Pockets Clear Over Door Hang.. 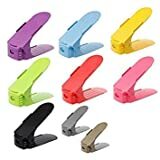 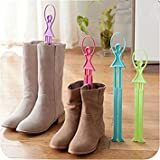 Pink : 16 Pockets Clear Over Door Hang..
Green : 1pc Retractable Shoe Support S.. 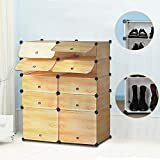 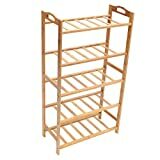 Double Adjustable Layer Home Shoes Bas..
Easy Assembled Light 3 Tier Shoe Rack .. 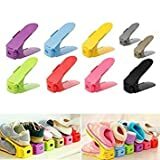 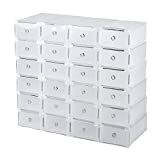 Pink : 1pc Retractable Shoe Support Sh..
Blueee : 1pc Retractable Shoe Support ..
Green : 16 Pockets Clear Over Door Han..
Purple : 1pc Retractable Shoe Support ..
Yellow Stripes : Nex Shoes Cabinet wit..
Home Shoes Base Space Saver Rack Doubl..
iyoukesin 24 Grids Foldable Shoe Boxes..
3/4/5 Tiers Shoe Racks Storage Bench B..